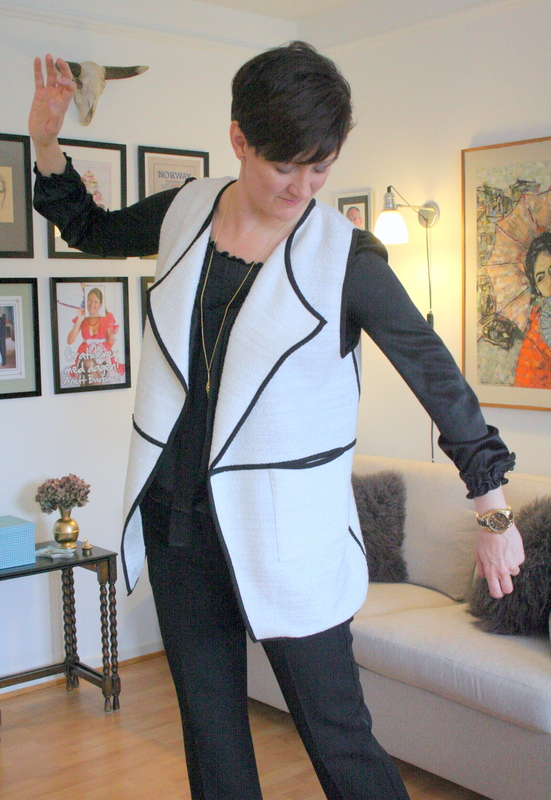 I was immediately drawn to how this white, long waistcoat was styled in the store – with a black slouchy t-shirt and black leather shorts. 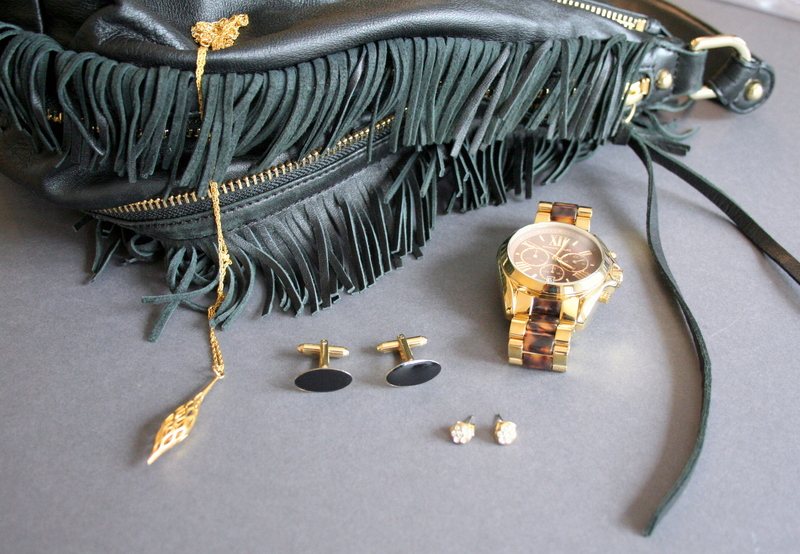 It gave off such a cool California vibe! 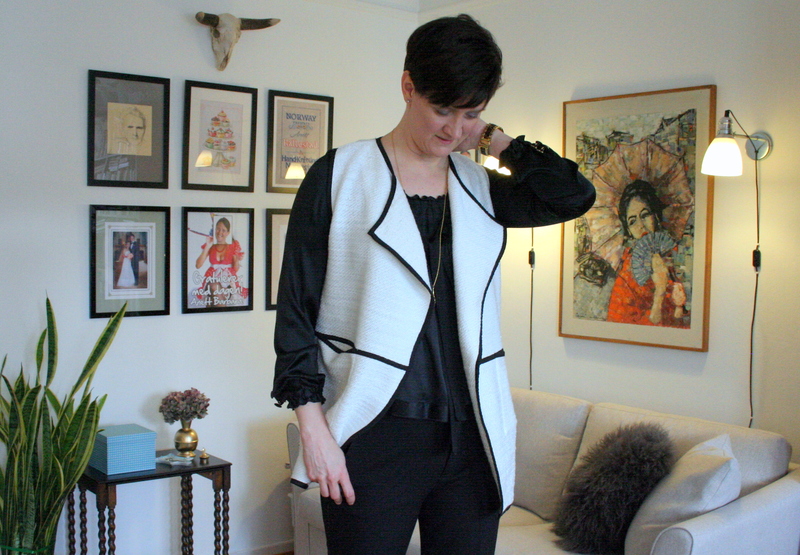 Since I live in Norway and therefore can’t wear shorts for another few months without catching pneumonia, I decided to wear the waistcoat in a more classic way, teamed with black dressy trousers and a black silk blouse. 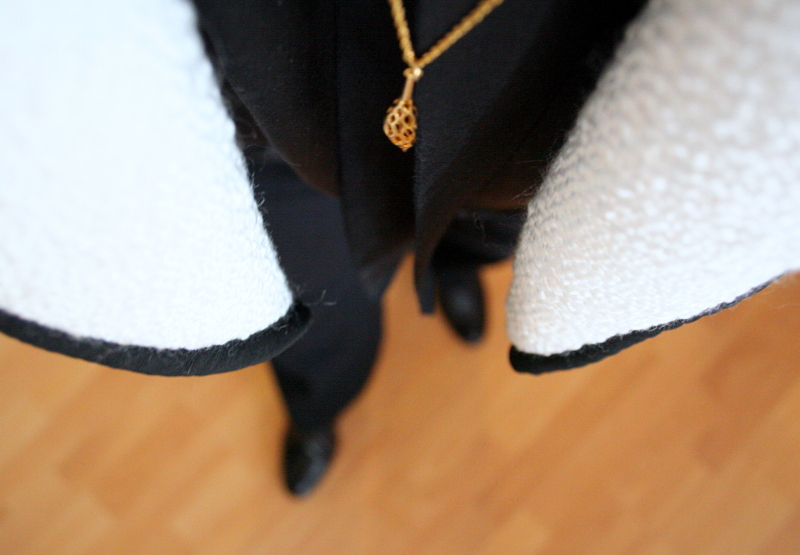 I ended up with an outfit that is both professional and chic, more appropriate for the office than a date. I promise to bring that much needed Cali vibe back in May, though, weather permitting! 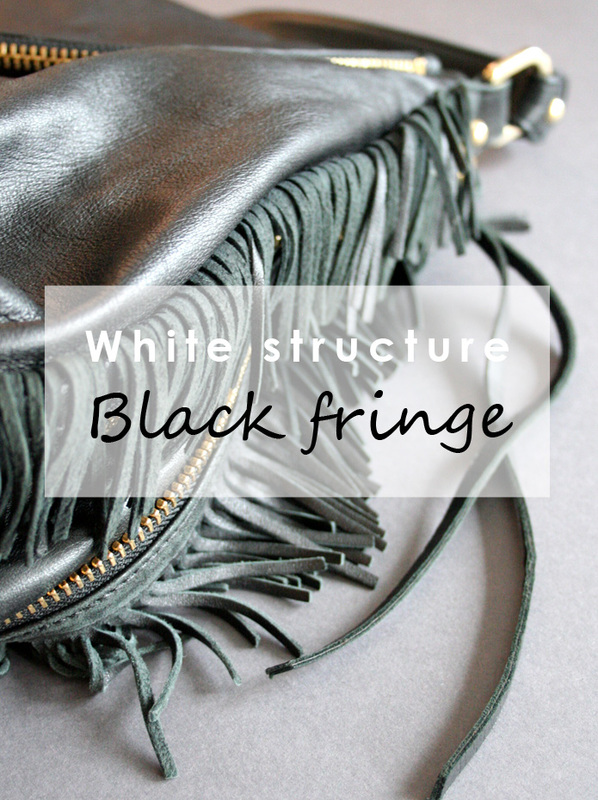 Share the post "White structure & black fringe"